Love gaming? 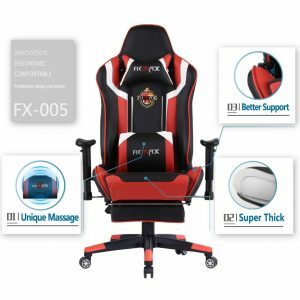 Make sure to enter our giveaway for this Ficmax Racing Style Gaming Chair. One lucky winner will be chosen on March 29th! Welcome to the wide wide world of eSports! This isn’t the Street Fighter arcade tournament of our youth; eSports are now a multimillion-dollar industry. 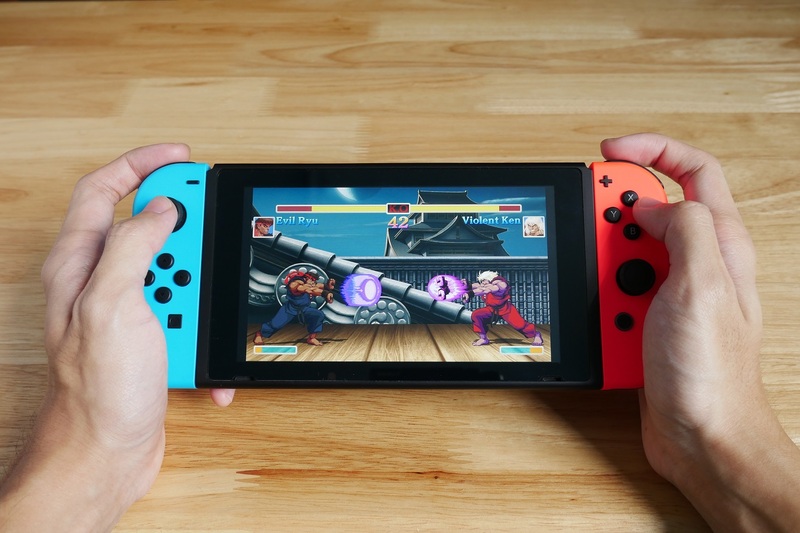 From international gaming conventions to live streams from your living room, from Super Smash Brothers to League of Legends, eSports have captured the minds and screens of the world. Back in my day, they were just called video games. My brother and I would wake up early every Saturday morning to dole out justice in the Mushroom Kingdom on our second hand NES. As the years passed, we found ourselves kickflipping with Tony Hawk on the N64, taking on the Umbrella Corp on the PS2, and barreling through DK Country on the Wii. But while we were fighting over the Player 1 controller, more serious gamers than us were beginning legitimate careers as eSports superstars. The first video game tournament was held in 1972 at Stanford University. The game was SpaceWar! and the prize was a year’s subscription to Rolling Stone magazine, the tournament’s sponsor. 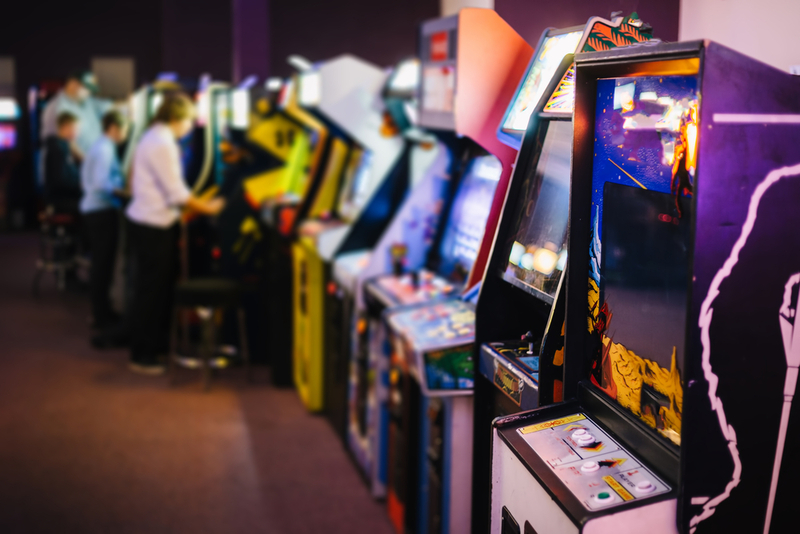 Throughout the 70’s and 80’s, local gaming competitions took place in arcades throughout the country, as games such as Space Invaders and Street Fighter gained popularity. Competition was fierce, although prizes were often little more than local fame and maybe a few candy bars. Larger competitions sponsored by Nintendo and Blockbuster Video (remember them?) were few and far between. Then in the 90’s, everything changed. The World Wide Web became a household word, and video games were changed forever. Suddenly, PC games were live. Players could join multiplayer games online and battle real opponents around the world from the comfort of their computer chair. 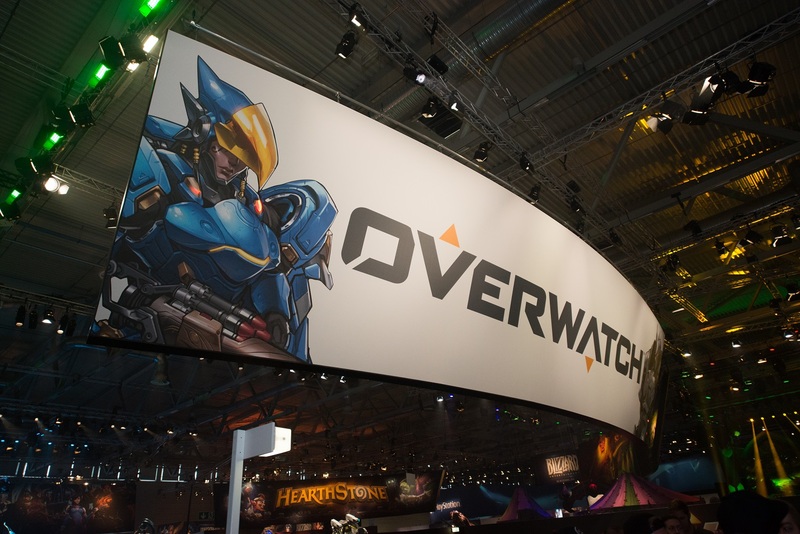 The slow burn had finally ignited a wildfire of gaming competition possibility. As technology, connectivity, graphics, and games improved by leaps and bounds throughout the aughts, gaming competitions sprung up to test the mettle of dedicated gamers. As competitions became more fierce, prizes became more elaborate. In 2006, the Worldwide Webgames Championship awarded a $1 Million grand prize, thrusting eSports into the realm of legitimate competition. Currently, eSports is a $906 million dollar industry. Competitions such as the Evolution Championship Series hosted in Las Vegas last year draw hundreds of competitors and thousands of spectators. Here in Portland, the annual Retro Gaming Expo has been home to the Tetris World Championship since 2010. 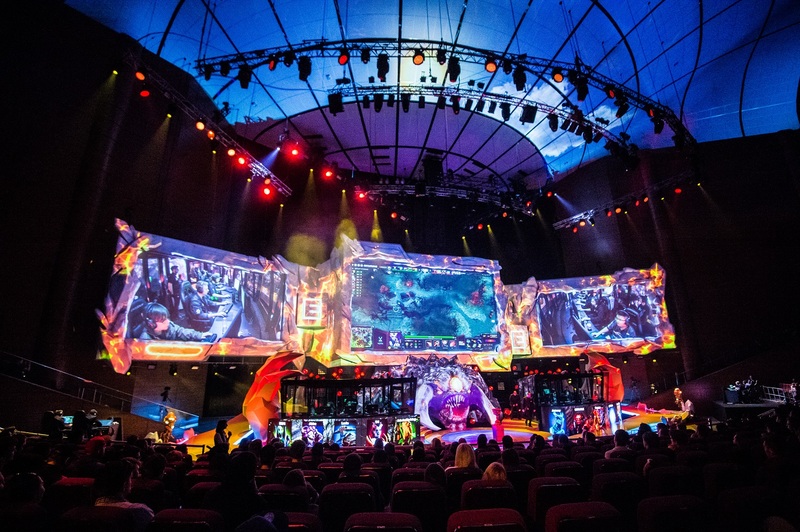 The 2018 League of Legends World Championship, hosted in South Korea, garnered more viewers internationally than the Superbowl and the NCAA Final Four combined. Competitors vie for titles, fame and fortune, and of course, cold hard cash. Serious gamers require serious equipment. Competitive gamers spend upwards of 4 hours a day practicing their moves. From specially modified controllers to ergonomic chairs, gear can make or break a player. Whether you’re on a competitive eSports team, a Twitch Streamer with a dozen or a thousand followers, or just like to adventure around Skyrim in your free time, you need a comfortable, durable, and supportive chair. Right now, we’re giving away an Executive Racing Style Gaming Chair from Ficmax to one lucky gamer. This chair features an extra thick seat, retractable footrest, and massaging lumbar support. 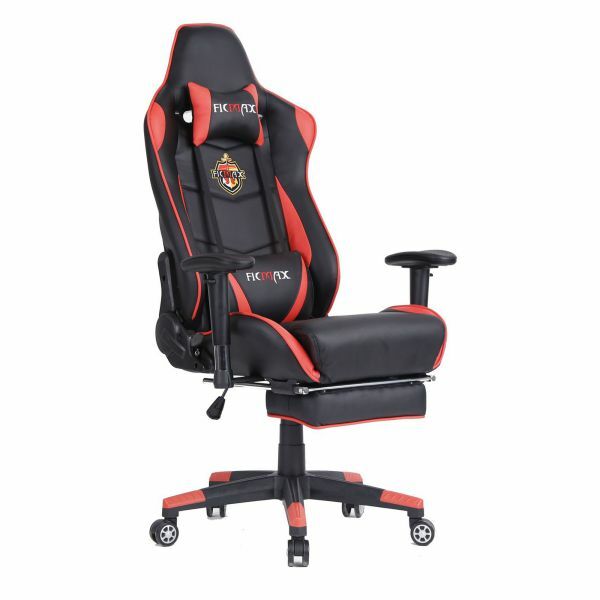 The race car style seat design gives this chair a sporty appearance with a focus on maximum support and comfort for those extended gaming sessions. 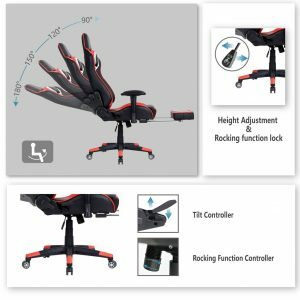 This fully adjustable chair can recline 180 degrees so you can stay comfortable whether you’re playing PC games at your desk or console games in front of the tv. Click here to go to the contest page. You can enter by following us on Twitter or Facebook, or by referring a friend.